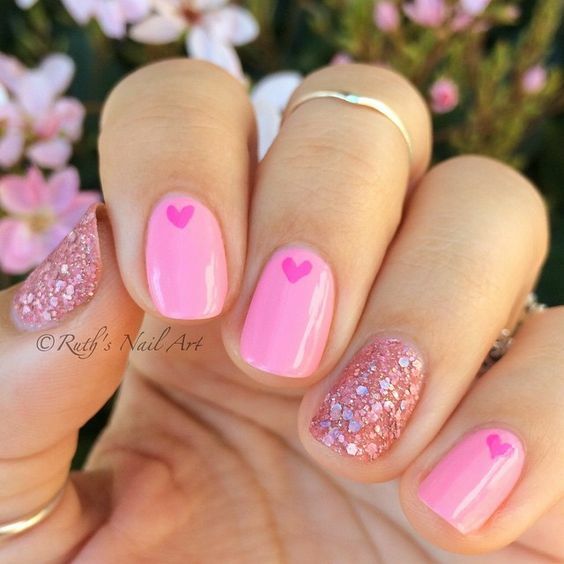 It’s almost Valentine’s Day and I need to do my nails! So I’ve said this before, and I’ll probably end up saying it a few more times, but I don’t really celebrate Valentine’s Day. Like sure it’s cute and lovey and dovey and stuff but I just don’t get it. I hate the HUGE expectations of it, and honestly, I’m going to appreciate the random “hey this made me think of you today” text message on a random Tuesday WAY MORE than any Hallmark forced action. Sure when I’m in a relationship we’ll stay in, cook dinner, and just have a quiet night together. But none of this demand for expensive things or plans. And omg don’t even get me started on Valentine’s Day proposals!! If you want me to say no, propose on Valentine’s Day, Christmas, or my birthday. Um, no…be more original. PUH-LEASE. Anyways – my rant is not the point of this post!! 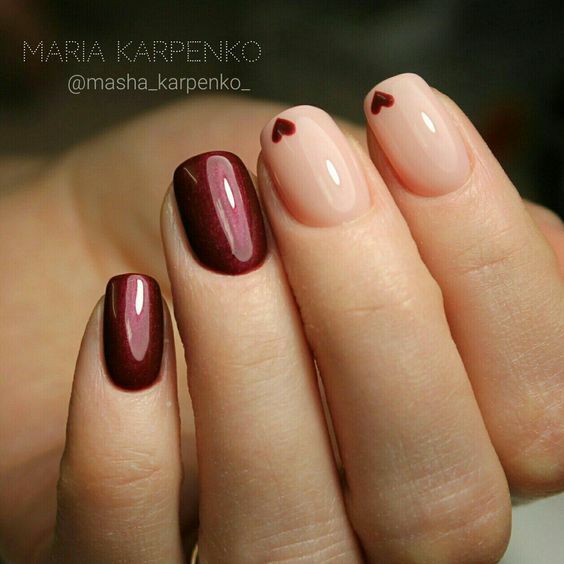 Even though I’m not a huge supporter of Valentine’s Day, any excuse to get a pretty manicure is a good excuse to me! Especially since I just got a new shipment of polishes in. So I present to you 4 designs for your consideration. As always, voting is open until Friday around noon Toronto time. You can vote as many times as you want. And just for fun, two “if only I had that much talent” styles. Maybe if I had someone else doing my nails I would have put these two into the poll but since I have to be able to do it on both my hands, these two will have to take a backseat for at least another year. You can vote for both and we’ll see which one has the most votes by the end of the week! 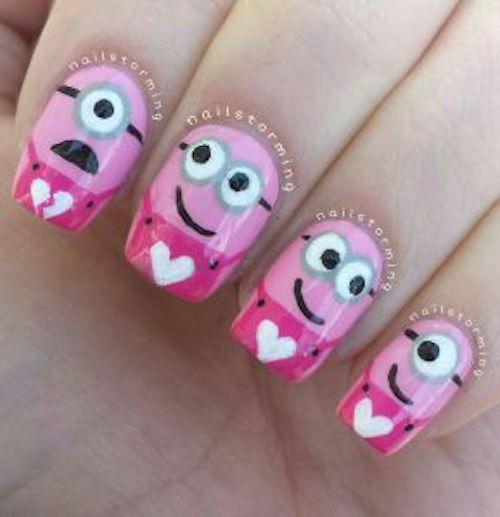 Omg, I love the minion nails!! I wonder how much that would cost! And omg I L-O-V-E minions!!! But, apparently I am a 5 year old so I guess that’s just expected haha. I think I’m just gonna go o’naturalé, gotta keep them guessing you know? 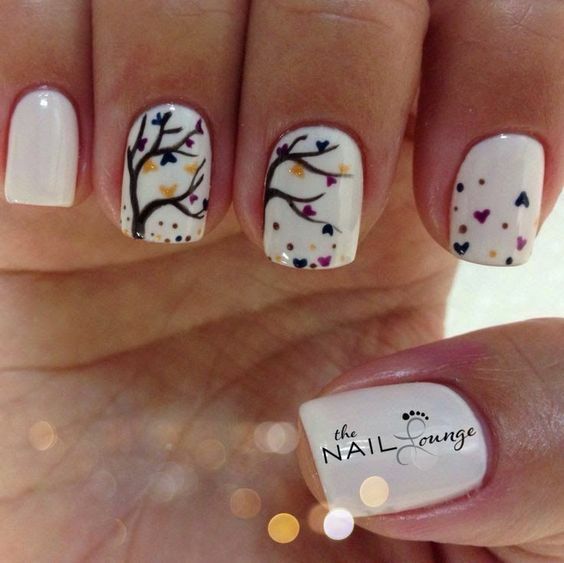 Ohhh, I love the trees!! 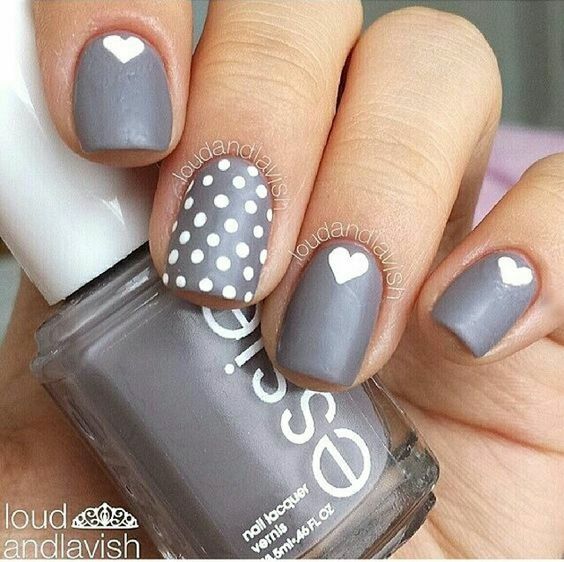 🙂 The grey was cool too and the dark red and hearts! ohhhh… pretty. Look forward to it.